Let’s face it ladies, active hijabis have special requirements when it comes to packing to go to the gym. Because we sweat more after working out, just changing into a fresh set of clothes and giving yourself a wipe down with some wet wipes will not be enough. We usually need to take time to shower properly, or at least wash our hair. Hence, we usually bring more stuff to the gym. But how much is enough? Below are 10 items that I must have inside my gym bag and I have to admit, I can’t live without any of them! Small towel – I always bring at least 2 towels. Big towel is to dry my body, and a small towel to dry my hair. I find that my hair will dry faster this way. Treat your self! – include in a nice bath gel or a luxurious lotion to reward yourself after working out. My personal favorite is a sugar scrub. 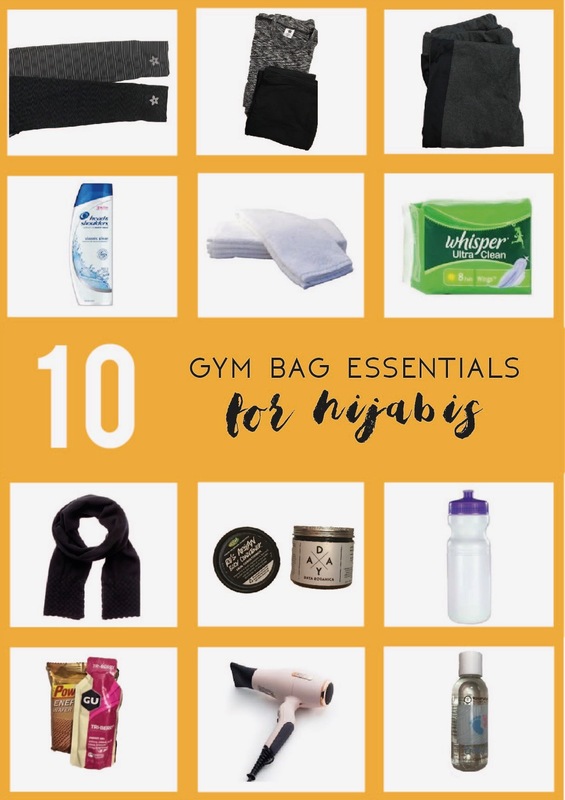 Hijabis, I hope this list will be helpful for you to pack before hitting the gym. Remember to pack the night before heading to the gym to make sure you have everything you need. Less stress, more sweat!